Five new Members joined SAEEA, with four attending the reunion; they are; Zafar Ahmed, Wakeel Ahmed Khan, Qamar Khan, Tanzeem Akhtar Ghani. The fifth one is Ms. Rais Akhtar but she could not attend because of her other priorities. 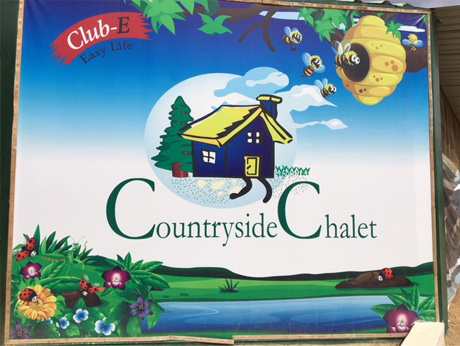 The location of Countryside Chalet Resort is located 30 kilometers north of Karachi. It offered the beautiful atmosphere of a small village. 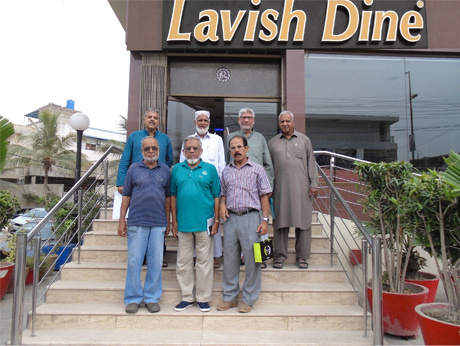 So, it was a good opportunity for spending some time out from the overcrowded city of Karachi. There is a large number of games within the Resort; so it is a big attraction for the children. Three birthdays were celebrated (2 children and Kamal Ahmed Farooqi). SAEEA celebrated and shared well-wishes with all three persons. The event started with the recitation from the Holy Qur’an by Shah Mohammad Abdullah Farooqi grandson of SAEEA Member Shah Mohammad Umar Farooqui. This young boy previously visited the Holy cities of Makkah and Madinah; recited Holy Qu’ran and was praised by the people from these cities of Saudi Arabia. The formal reunion function started by SAEEA stage secretary, Syed Shahid Ali. Shahid introduced all office bearers to the audience. Shahid described the full day activities in the resort. In his speech, Kamal Farooqui, President, updated attendees about the activities of SAEEA. Normally; SAEEA do not repeat SAEEA activities right from the very beginning. However, there were four new comers who wished to have little background of SAEEA. So, Kamal gave a very short brief about SAEEA from the day of its inception i.e. October 11, 2010. Kamal did not take much time as he wanted all attendees to enjoy within the Resort. Kamal Farooqui advised that the increased market prices do not permit SAEEA having three reunions functions in a year. He requested all attendees providing their feedback whether or not to increase the annual subscription or to keep only two reunions in a year. Two new Members of SAEEA, Zafar Ahmed and Wakeel Ahmed Khan did a very good musical program in between the other activities. All attendees liked the program; especially in a village atmosphere. In his short speech, Engr. Iqbal A. Khan Vice President SAEEA, requested all participants to keep sending him brief of their family events to enable him to publish it in Aramco Expats Weekly News Letter. The program concluded at 5:30 PM after getting several groups and individual photographs.